Norway maple (Acer platanoides L.) and sycamore (A. pseudoplatanus L.) are genetically closely related species that produce desiccation-tolerant (orthodox) and desiccation-sensitive (recalcitrant) seeds, respectively. Norway maple and sycamore seeds were analyzed during their development from the 14th to 24th weeks after flowering (WAF) and 11th to 21st WAF, respectively, to explore redox-related biochemical properties related to their contrasting physiology. Selected similar stages of seed development were characterized during the course of gradual decreasing water content in both seed types. The levels of protein and non-protein thiols peaked at the 18th WAF in Norway maple embryonic axes, whereas these levels constantly increased in maturing sycamore seeds. The glutathione half-cell reduction potential revealed that the cell environment adopted a more oxidized state in sycamore seeds. Peroxiredoxins (Prxs), including cytosolic/nuclear 1-Cys-Prx, cytosolic PrxIIC, mitochondrial PrxIIE, and plastidic PrxIIF, 2-Cys-Prx, and PrxQ, were detected in both species, but Norway maple embryonic axes contained higher levels of PrxIIC and PrxIIE, two Prxs with the highest peroxide detoxification potential in Arabidopsis. Redox proteomics revealed that 2-Cys-Prx was present in reduced form in both species, whereas 1-Cys-Prx was reduced uniquely in Norway maple seeds. Several enzymes, including glucose and ribitol dehydrogenase as well as fructose-bisphosphate aldolase, were oxidation-sensitive at all developmental stages in sycamore embryonic axes. Redox signaling as manifested by reactive oxygen species signals, and the oxidation of protein thiols to disulfides are discussed with respect to their significance in determining orthodox or recalcitrant seed characteristics. The online version of this article ( https://doi.org/10.1007/s00344-018-9841-8) contains supplementary material, which is available to authorized users. Seed development proceeds in two steps, morphogenesis and subsequent maturation. Seed maturation begins once the embryo is fully developed when the deposition of storage compounds is initiated, desiccation tolerance is established, and the dormancy state is adopted. Desiccation-tolerant seeds (orthodox category) shut their metabolism down during maturation drying, whereas desiccation-sensitive seeds (recalcitrant category) fail to decelerate metabolism (Berjak and Pammenter 2013; Lang et al. 2014; Walters 2015), suggesting impaired coordination of redox and hormonal regulation of metabolism. The effects of the thiol-disulfide status on metabolism were studied in Arabidopsis leaves by applying the artificial reductant dithiothreitol (Kolbe et al. 2006). Similar information is lacking for seeds belonging to contrasting desiccation tolerance categories. Thiol-disulfide transitions participate in cell signaling and control catalytic activities, regulatory switches and protective mechanisms (Dietz and Hell 2015). Thiol oxidation may occur via direct oxidation by reactive oxygen species (ROS), indirect oxidation by redox transmitters or proximity-based oxidation (König et al. 2012). ROS such as superoxide anion radical (O2•−) and hydrogen peroxide (H2O2) are generated during seed development and play a critical role in regulation of metabolic processes (Bailly et al. 2008; Miller et al. 2010; Wojtyla et al. 2016). Regulation of the redox state of proteins can be modulated by ROS levels controlled by antioxidant enzymes; redox input elements, such as glutathione; redox transmitters, such as thioredoxins (Trxs) and glutaredoxins (Grxs); and redox sensors, such as Prxs (Dietz 2011; Foyer and Noctor 2011; Hanschmann et al. 2013; Cejudo et al. 2014; Gütle et al. 2017). Thus, the protein thiol redox state depends on the cellular thiol-disulfide redox regulatory network. Redox processes are thought to participate in metabolic regulation in maturing seeds and may also participate in the establishment of desiccation tolerance (De Gara et al. 2003; Colville and Kranner 2010). Glutathione and ascorbate act together in the Foyer-Halliwell-Asada cycle to regulate cellular ROS levels (Foyer and Noctor 2011). The glutathione-based redox regulation of embryo development was described in spruce, canola (Stasolla 2010) and Arabidopsis (Cairns et al. 2006; Considine and Foyer 2014). The in vivo glutathione half-cell redox potential (EGSSG/2GSH) is an important indicator of the cell redox environment and a specific marker of seed viability (Kranner et al. 2006; Kalemba et al. 2015). Prxs are associated with the thiol-disulfide redox regulatory network of plants and seeds (Dietz 2011, 2016; Rouhier et al. 2015). Based on sequence similarity and number of catalytic cysteines, Prxs are grouped into four clusters: 1-Cys peroxiredoxins (1-Cys-Prx), 2-Cys peroxiredoxins (2-Cys-Prx), YLR109-related peroxiredoxins (type-II Prx; PrxII), and bacterioferritin-comigratory proteins (PrxQ) (Dietz 2016). Prxs are involved in ROS- and RNS-dependent signaling by modulating H2O2 concentrations, processing alkyl hydroperoxides, draining electrons from redox transmitters, performing redox interactions with other proteins, decomposing peroxynitrite, and switching to chaperone function (Finkemeier et al. 2005; Kim et al. 2011; Dietz 2011, 2016). Prxs undergo conformational changes based on their redox state (Bhatt and Tripathi 2011; Dietz 2011). PrxQ and PrxII functionally act as monomers (Dietz 2011, 2016). The 2-Cys-Prx can have four different conformation states which are linked to switches in function. The reduced and hyperoxidized dimers strongly tend to form decamers or dodecamers, whereas the oxidized form is present as a dimer and part of the reduced protein also exists as a dimer (Barranco-Medina et al. 2009). High molecular weight aggregates of 2-Cys-Prx exhibit chaperone-like activity (Barranco-Medina et al. 2008; Lee et al. 2015). 1-Cys-Prxs are expressed in seeds, where they participate in embryogenesis, dormancy and stress sensing under control of the cellular oxidation state (Haslekås et al. 2003; Dietz 2011). 1-Cys-Prx protects the nuclear DNA in seed cells against oxidative stress and functions as molecular chaperone under severe stress during seed germination and plant development (Kim et al. 2011). Thus, 1-Cys-Prx participates in desiccation tolerance during late stages of seed development (Stacy et al. 1999; Lee et al. 2000; Kim et al. 2011). Chloroplast PrxQ is present in seeds during development in Arabidopsis (Pena-Ahumada et al. 2006). Mitochondrial PrxIIF protein occurs ubiquitously and is well detectable in developing Arabidopsis and Brassica seeds (Pena-Ahumada et al. 2006) and in seeds of A. platanoides and A. pseudoplatanus during desiccation (Ratajczak et al. 2013). The Norway maple (A. platanoides L.) and the sycamore (A. pseudoplatanus L.) belong to the same genus. Norway maple is a fast-growing tree with high tolerance to drought, pollution, poor and alkaline soil. Sycamore trees prefer highly fertile and fresh soils containing calcium. Their seeds differ in desiccation tolerance and the depth of physiological embryo dormancy. Norway maple seeds are typical orthodox and can be dried for storage. Sycamore seeds are sensitive to desiccation, die when dried below 20% water content, and belong to the recalcitrant category (Hong and Ellis 1990; Dickie et al. 1991). However, Daws et al. (2006) found that the desiccation tolerance of sycamore seeds depends on the heat sum during development, so that the tolerance of seed lots from France or Italy is more consistent with an intermediate than with the recalcitrant category. In the moderate climate of Poland, Norway maple typically begins to flower 3 weeks earlier than sycamore, but the development of sycamore seeds is more dynamic. The dry weight of seeds peaks at approximately the same time in both species; therefore, some stages of maturation can be compared as they exhibit similar water content (Pukacka and Ratajczak 2007). Mature Norway maple seeds need longer cold stratification to initiate the germination process (Pawłowski 2009; Staszak and Pawłowski 2014) compared to sycamore (Pawłowski and Staszak 2016). Ratajczak et al. (2013) observed distinct redox proteomes in Norway maple and sycamore seeds under dehydration and desiccation, but specific proteins were not identified in this study. However, great differences between Norway maple and sycamore seeds were observed for the prxIIF transcript, PrxIIF protein levels, and the post-translational modification of PrxIIF. This result inspired us to analyze Acer seed development, particularly with respect to the relationship between Prx isoforms, ROS and redox state, as indicated by the glutathione redox potential. Moreover, we used redox proteomics to identify the proteins sensitive to reversible oxidation, to determine how Acer seeds differ at the proteome level. The seeds were collected from single trees of Norway maple and sycamore growing in the Kórnik Arboretum (Western Poland). Seeds were collected at 2-week intervals, beginning from 11th WAF for sycamore and 14th WAF for Norway maple. Six developmental stages were analyzed. After harvest, the seeds were transferred immediately to the laboratory in sealed plastic bags. The determination of seed water content (WC, fresh weight basis), superoxide radical and hydrogen peroxide levels was performed on the day of seed collection. The same day three replications of samples containing 20 embryonic axes and five cotyledons each were prepared and frozen at − 80 °C for other analyses. To assess whether the level of desiccation tolerance in sycamore seeds was elevated, the heat sum [°C d] was calculated according to Daws et al. (2006) based on temperature measurements obtained from the Institute of Meteorology and Water Management, Poznan Department, Kórnik Station. The O2•− content was assayed as tissue capacity to reduce nitroblue tetrazolium (NBT) according to Doke (1983). Three samples of 20 embryonic axes and five cotyledons, respectively, from each collection were incubated in 3 mL of 0.05 M K-phosphate buffer (pH 7.8) containing 0.05% NBT and 10 mM sodium azide, at room temperature in the darkness, for 30 min. Then 2-mL sample was heated to 85 °C for 15 min, and subsequently cooled on ice. The absorbance was read at 530 nm. O2•− formation was expressed as ΔA530 g−1 DW of the sample. The H2O2 content was determined using the ferrithiocyanate method described by Sagisaka (1976). Samples of 20 embryonic axes or five cotyledons of seeds from each collection were ground to fine powder in liquid nitrogen and homogenized with 5 mL of 5% (w/v) trichloroacetic acid (TCA) containing 10 mM EDTA. The homogenate was centrifuged at 26,000×g and 4 °C for 20 min. The total volume of supernatant was analyzed for H2O2 contents. Reduced (GSH) and oxidized (GSSG) forms of glutathione were determined using the procedure by Smith (1985). Samples of 20 embryonic axes and five cotyledons were homogenized in 5% (w/v) sulfosalicylic acid on ice and then centrifuged at 14,000×g for 20 min. Afterwards, 1 mL of supernatant was mixed with 1.5 mL of 0.5 M potassium phosphate buffer at pH 7.5 to neutralize and evaluate total glutathione (GSH + GSSG). To determine the amount of GSSG, 1 mL of neutralized supernatant was treated with 0.2 mL of 2-vinylpyridine for 1.5 h at 25 °C. Samples were extracted twice with 5 mL diethylether. The assay solution was prepared by mixing 0.5 mL of 0.1 M sodium phosphate buffer (pH 7.5) containing 5 mM EDTA, 0.2 mL of 6 mM 5,5′-dithiobis-(2-nitrobenzoic acid), 0.1 mL of 2 mM NADPH, 0.1 mL (1 unit) of glutathione reductase type III (Sigma-Aldrich, St Louis, MO, USA), and 0.1 mL of extract. The change in absorbance was monitored at 412 nm and 25 °C with a UV-2501 PC spectrophotometer (Shimadzu, Nakagyo-ku, Kyoto, Japan). A defined GSH solution (Sigma-Aldrich, Steinheim, Germany) was used for standardization. From GSH and GSSG levels, EGSSG/2GSH was calculated as described by Kranner et al. (2006) using the Nernst equation EGSSG/2GSH = E0 − RT/nFln [GSH]2/[GSSG], where R is the gas constant, T the temperature in K, F the Faraday constant, n the number of transferred electrons, and E0 is the standard half-cell reduction potential of glutathione (− 0.240 mV) at pH 7.5. Embryonic axes were ground to a fine powder in liquid nitrogen and homogenized in extraction buffer [200 mM Tris–HCl, pH 7.5; 5% glycerol and 1 mM phenylmethylsulfonyl fluoride (PMSF)]. For the analysis of the actual redox state, a second extract was prepared using extraction buffer supplemented with 100 mM iodoacetamide (IAM), followed by 30-min incubation at room temperature in the dark to immediately alkylate free thiol groups. The protein concentration was estimated according to Bradford (1976), by using BSA as a standard. Protein samples (20 µg) were loaded onto a 12% SDS-PAGE gel. Separated proteins were transferred to a polyvinylidene fluoride membrane (ImmobilonTM-P, Millipore) at 350 mA for 1 h using the Mini Trans-BlotCell (Bio-Rad). Membranes were blocked with 1% BSA and incubated with antibodies raised against heterologously expressed Arabidopsis PrxIIF, PrxIIC, PrxIIE, PrxQ, 2-Cys-Prx protein at a final dilution of 1:2500 (Finkemeier et al. 2005) and 1-Cys-Prx (kindly provided by Prof. J.C. Cejudo; produced at the Institute of Plant Biochemistry, University of Seville).The secondary antibody, goat anti-rabbit IgG conjugated with alkaline phosphatase (Sigma-Aldrich, St Louis, MO, USA) was used at a 1:3000-dilution to visualize protein bands by reaction with 5-bromo-4-chloro-3-indolyl phosphate/nitroblue tetrazolium (BCIP/NBT) (Sigma-Aldrich, St Louis, MO, USA/CALBIOCHEM Merck, Austria) as substrate. Results obtained from three experiments were digitalized and statistically tested for significance of differences using one-way ANOVA. Thiol content was determined according to Sedlak and Lindsay (1968) using Elman’s reagent (5,5′-dithio-bis-2-nitrobenzoic acid). Samples were homogenized in 0.02 M EDTA on ice and centrifuged at 14,000×g at 4 °C for 20 min. Total thiols were estimated in supernatants. For determination of non-protein thiols, 5-mL supernatant was mixed with 4 mL of deionized water and 1 mL of 50% TCA. After 15 min, the tubes were centrifuged at 14,000×g for 15 min. Protein-bound thiols were calculated by subtracting the non-protein thiols from total thiols. A standard curve was prepared using GSH (Sigma-Aldrich, Steinheim, Germany), and thiol contents were expressed as glutathione equivalents. For the diagonal redox 2D gels, the samples were incubated with 100 mM dithiothreitol (DTT) or 10 mM H2O2, for 30 min at room temperature, with subsequent IAM treatment for 30 min in the dark. One mg of protein was subjected to diagonal 2D redox-SDS-PAGE analysis, which was performed according to the protocol by Ströher and Dietz (2008). Protein samples were subjected to electrophoresis on a 12% (w/v) acrylamide separating gel in the first dimension at constant current (40 mA) for 4 h. The second dimension was performed on a 10% (w/v) acrylamide separating gel at constant current (50 mA per gel). For the analysis of the actual redox state, samples prepared as in ‘Protein extraction’ were run in parallel to the DTT- and H2O2-treated samples, which served as controls and are shown in Supplementary Fig. 2. The excised gel spots were subjected to a standard procedure in which proteins were reduced with 10 mM (w/v) DTT (30 min, 56 °C), alkylated with 55 mM IAM and digested overnight with trypsin (Sequencing Grade, Promega, Madison, WI, USA) in 25 mM ammonium bicarbonate (25 ng µL−1 of trypsin). The resulting peptides were eluted from the gel matrix with 0.1% (v/v) trifluoroacetic acid (TFA) in 2% (v/v) acetonitrile and analyzed by liquid chromatography coupled to the mass spectrometer (MS) in the Laboratory of Mass Spectrometry, Institute of Biochemistry and Biophysics, the Polish Academy of Sciences (Warsaw, Poland). Samples were concentrated and desalted on a RP-C18 pre-column (nanoACQUITY Symmetry® C18, Waters, Milford, MA, USA), and further peptide separation was achieved on a nano-Ultra Performance Liquid Chromatography (UPLC) RP-C18 column (Waters, BEH130 C18 column, 75 µm i.d., 250 mm long) of a nanoACQUITYUPLC system, using a linear acetonitrile gradient (0–60% (v/v) ACN for 120 min) in the presence of 0.05% (v/v) formic acid with a flow rate of 150 nL/min. The column outlet was directly coupled to the electrospray ionization (ESI) ion source of the OrbitrapVelos type MS (Thermo Electron Corp., San Jose, CA, USA), working in the mode of the data-dependent MS to MS/MS switch. An electrospray voltage of 1.5 kV was used. A blank run ensuring the lack of cross-contamination from previous samples preceded each analysis. Acquired raw data were pre-processed with Mascot Distiller software (version 2.3.2.0, Matrix Science, London, UK), followed by a database search using the Mascot Search engine (MascotDaemon v. 2.3.0, Mascot Server v. 2.2.03, Matrix Science, London, UK) against the NCBI database (version 20120224) with a Viridiplantae filter (884,942 sequences). The search parameters for precursor and product ion mass tolerance were 20 ppm and 0.6 Da, respectively, with an allowance made for one missed trypsin cleavage, and the fixed modification, cysteine carbamidomethylation, and allowed variable modifications, lysine carbamidomethylation, and methionine oxidation. Protein identification was performed using the Mascot probability-based molecular weight search (MOWSE) score. The ion score was − 10 × log(P), where P was the probability that the observed match was a random event. Peptides with a Mascot Score exceeding the threshold value corresponding to a < 5% false positive rate, calculated by the Mascot procedure, were considered to be positively identified. Data are presented as means ± standard deviation of three experiments. The statistical differences between particular parameters were tested using a Pearson correlation coefficient analysis. The statistical differences were tested using an analysis of variance (ANOVA) followed by Tukey test at P ≤ 0.05. Norway maple and sycamore seeds were analyzed during their development from 14th to 24th WAF and 11th to 21st WAF, respectively, to establish which biochemical properties might be related to their distinct physiology given that Norway maple seeds are resistant to desiccation, whereas sycamore seeds are sensitive to desiccation. The heat sum (2338 °C d) consistent with the reference value reported in Poland confirmed that climatic conditions did not increase desiccation tolerance in recalcitrant sycamore seeds. For both species, six stages of seed development were identified in which the water content was highly similar (Fig. 1). A decrease from 78 to 55% WC in embryonic axes and from 81 to 49% WC in cotyledons was recorded in Norway maple seeds, likewise a decrease from 76 to 57% WC in embryonic axes and from 81 to 54% WC in cotyledons was observed in sycamore seeds (Fig. 1). The corresponding dry mass accumulation is shown in Supplementary Fig. 1. The O2•− level of embryonic axes in Norway maple seeds increased by 40% between the 16th and 18th WAF, then decreased, and reached the lowest level at the end of maturation. A decrease was detected after the 18th WAF in cotyledons (Fig. 2). The level of O2•− in sycamore seeds was the highest at the initial stages of development (11–13th WAF). An approximately fourfold strong decrease was noted at 15th WAF in embryonic axes and at 17th WAF in cotyledons (Fig. 2). A peak in H2O2 levels was detected in both tissues of Norway maple seeds in the 18th WAF (Fig. 3). Cotyledons contained less H2O2 than embryonic axes; however, the pattern of changes in H2O2 levels was similar (Fig. 3). Embryonic axes of sycamore seeds contained constant H2O2 levels up to 15th WAF (Fig. 3). Then, the level increased from the 17th to 21st WAF. In cotyledons, the H2O2 level was low during development and fluctuated near the level of 50 nmol, except at the 17th WAF when a nearly threefold increase was detected (Fig. 3). However, the H2O2 level in cotyledons was almost two times lower than in the embryonic axes (Fig. 3). Total thiol contents increased in embryonic axes of Norway maple seeds, peaked at the 18th WAF and then decreased (Fig. 4). In Norway maple cotyledons, thiol contents increased throughout seed development and reached a maximum at the end of maturation. Thiols in embryonic axes of sycamore seeds increased with maturation; however, cotyledons contained lower thiol levels with extremely low amounts at 15th WAF (Fig. 4). With the exception of sycamore cotyledons, protein thiols dominated total thiol levels. The glutathione half-cell reduction potential (EGSSG/2GSH) was calculated based on the concentrations of the reduced and oxidized forms of glutathione at specific stages of development characterized by similar water contents in seeds of both species. With the exception of one or two initial stages in embryonic axes and cotyledons, the cellular thiol environment was more oxidized in sycamore seeds (Fig. 5). In embryonic axes and cotyledons of Norway maple, the EGSSG/2GSH decreased from 14 to 18th WAF. At the same stages, the EGSSG/2GSH increased in sycamore seeds and turned more oxidizing (Fig. 5). The peroxiredoxins, 1-Cys-Prx, 2-Cys-Prx, PrxIIC, PrxIIE, PrxIIF, and PrxQ, were detected in both Norway maple and sycamore seeds (Fig. 6). Previous results (Ratajczak et al. 2013) had indicated that the greatest changes occur in embryonic axes, so detailed Prx analyses were performed in embryonic axes. The 2-Cys-Prx protein level in Norway maple was high at the 14th WAF, decreased at the 16th WAF, and subsequently remained at a constant level until the 24th WAF. The sycamore seed levels of 2-Cys-Prx remained constant throughout the experiment. PrxIIC and PrxQ amounts decreased as maturation progressed in Norway maple seeds, whereas PrxIIE and PrxIIC were minimally detectable in sycamore seeds. In Norway maple seeds, the PrxIIE contents remained mostly unchanged during development with a slightly increasing trend towards maturation. PrxIIF was highly abundant particularly at the beginning and end of development and during the maturation process in both species. A similarly high level at the beginning of development was observed for 1-Cys-Prx in sycamore seeds. The 1-Cys-Prx level in Norway maple was high and stable during development. The decrease of its level was observed at 24th WAF, that is, at the end of maturation. Proteins isolated from embryonic axes were incubated in DTT and separated under reducing conditions using diagonal 2D redox-SDS-PAGE. All polypeptides migrated in the diagonal line (Fig. 7a, a′) indicating successful extraction and identical migration in the 1st and 2nd dimension as control. Incubation of protein extracts in 10 mM H2O2 was performed to introduce oxidizing conditions and promote the formation of disulfide bonds in proteins. Then, proteins were separated by diagonal 2D redox-SDS-PAGE under oxidizing conditions in the 1st and under reducing conditions in the 2nd dimension. Most polypeptides were located at the diagonal line, but some were detected below and above this line (Fig. 7b, b′). Proteins with an intermolecular disulfide bridge (homodimers, heterodimers) migrate below the diagonal line, whereas proteins with intramolecular disulfide bridges were located above the line. The profiles of proteins beyond the diagonal line did not change during development (Fig. 7b, b′). Therefore, one representative gel was used, and selected spots were intended for identification by mass spectrometry (Fig. 7c, c′). Eight and nine protein spots were selected as characteristic of Norway maple and sycamore, respectively. All polypeptide spots were successfully identified at least to the gene family level and then were more precisely defined using the protein BLAST tool (Tables 1, 2). Peroxidase 4, and 2-Cys-Prx were identified as proteins sensitive to oxidation for both Acer species. Interestingly, 1-Cys-Prx, heat shock protein 81-1 and mitochondrial succinic semialdehyde dehydrogenase (SSADH) were uniquely detected in embryonic axes of Norway maple (Table 1). Oxidation-sensitive proteins characteristic for embryonic axes of sycamore included glutathione reductase, annexin p35, glucose and ribitol dehydrogenase (GRDH), serine carboxypeptidase and fructose-bisphosphate aldolase (FBA) (Table 2). The identified proteins were analyzed in terms of their function in silico. The majority of all identified proteins belong to the gene ontology group of redox regulation and oxidative stress; however, several proteins characteristic of sycamore are assigned to metabolic functions. A decrease in water contents is a typical phenomenon associated with seed development. However identical changes in water contents of sycamore and Norway maple seeds were shown to elicit different physiological and biochemical changes in previous analyses (Pukacka and Ratajczak 2007), confirming that the developmental program was properly realized in seeds of both species. According to Daws et al. (2006), the growing conditions did not elevate desiccation tolerance in sycamore seeds, thus its recalcitrance may be comparable with previous studies based on seeds from the same location (Pukacka and Ratajczak 2007; Ratajczak et al. 2013). A clear peak in H2O2 content in Norway maple seeds was synchronized between both embryonic axes and cotyledons at 18th WAF (Fig. 3). This time point matches the time of desiccation tolerance acquisition in the 18th WAF (Pukacka and Ratajczak 2007). Therefore, H2O2 and a concomitant shift to more oxidizing conditions potentially play a signaling role in adopting desiccation tolerance in Norway maple seeds. H2O2 is the most stable type of ROS and functions as signaling molecule (Baxter et al. 2014). Under normal physiological conditions, H2O2 occurs as metabolite and regulator, for example, in photosynthesis, (photo-) respiration, cell cycle, and more general in cell growth, tissue development and organ senescence. O2•− is considered to be a signaling molecule involved in growth regulation (Buetler et al. 2004). Thus, it may be hypothesized that the increased O2•− levels as detected in the 18th WAF in Norway maple seeds (Fig. 2) participate in the regulation of desiccation-related metabolic processes during the development of orthodox seeds. The large differences in protein thiols between the tissues of both Acer species likely reflect distinct metabolic states of genetically related species. Protein thiol levels decreased in Norway maple embryonic axes (Fig. 4) immediately after desiccation tolerance acquisition (Pukacka and Ratajczak 2007). Protein oxidation appears to be related to the initiation of metabolic quiescence of the seeds (Belmonte et al. 2005) and is accompanied by various Cys-thiol modifications, in particular the redox-dependent disulfide bridge formation within and between polypeptides and S-glutathionylation. In contrast, desiccation-sensitive seeds are unable to shut down their metabolism during drying (Leprince et al. 1999; Ntuli and Pammenter 2013). This phenomenon is reflected by the constant increase in protein thiols during the development of embryonic axes of sycamore seeds categorized as recalcitrant (Dickie et al. 1991). Protein thiols decreased in desiccating Norway maple seeds, whereas the levels of protein thiols remained relatively unchanged in sycamore seeds (Pukacka and Ratajczak 2007). These results are consistent with the hypothesis that thiol-disulfide switches regulate desiccation tolerance acquisition and the metabolic activity of seeds. In contrast to progressive metabolic shutdown in Norway maple seeds, maintenance of reduced thiols in sycamore seeds indicates continuous metabolism and possible expenditure of reducing energy which may lead to substrate exhaustion. 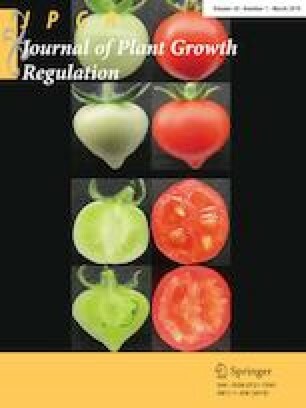 The glutathione half-cell reduction potential (EGSSG/2GSH) reflects seed viability (Kranner et al. 2006). At the beginning of analysis, EGSSG/2GSH was approximately − 240 mV (Fig. 5), indicating that the reduced form far exceeded the oxidized form in the glutathione pool (Foyer and Noctor 2011). Such negative potentials are typical for viable and metabolically active cells. EGSSG/2GSH diverged up to 30 mV between both species during the maturation phase (Fig. 5). This suggests that differences in the maturation program of both seeds might be related to discrete redox signaling-related changes, because redox changes of only 12–16 mV were demonstrated to be sufficient to obtain significant alterations in enzyme activities (Jones and Go 2010). Among all detected Prxs, PrxIIF exhibited the strongest signal which indicates high abundance given the degree of evolutionary conservation within same peroxiredoxin groups. Thus, antigenicity is similar despite the fact that all antibodies were raised against Arabidopsis thaliana isoforms (Fig. 6). PrxIIF was shown to define physiological differences between orthodox and recalcitrant seeds of Norway maple and sycamore during drying and desiccation (Ratajczak et al. 2013), suggesting that redox regulation differs at the mitochondrial level. PrxIIC and PrxIIE were highly abundant during development of Norway maple seeds (Fig. 6). PrxIIC in Arabidopsis is highly efficient in H2O2 reduction and decomposes H2O2 at higher rates than 2-Cys-Prx (Horling et al. 2002, 2003). Among plastidic Prxs, PrxIIE is unresponsive to photo-oxidative treatment and water deficit, whereas PrxQ levels increase under those stresses (Gama et al. 2008). This observation may explain why the PrxQ level was increased in sycamore seeds at 19th WAF, when exceptionally high temperatures reaching 30 °C were noticed. In A. thaliana, the midpoint redox potentials (Em) of cytosolic PrxIIC and plastidic PrxIIE are approximately − 290 mV, whereas mitochondrial PrxIIF and chloroplast 2-Cys-Prx are stronger reductants (Em = − 307 to − 322 mV) (Horling et al. 2003). Assuming that the redox properties and metabolic functions of the Acer Prxs are similar to their A. thaliana homologues, their differential regulation is likely associated with the contrasting cellular redox conditions detected in both types of Acer seeds (Fig. 5). Thus, the low levels of PrxIIC and PrxIIE in sycamore may be indicative of deregulation during early seed maturation. 1-Cys-Prx functions mechanistically as a monomer, its peroxidatic cysteine forms a sulfenic acid derivative upon reaction with peroxide, which is directly regenerated by a reductant. However, there are occasionally second-site cysteines that might cause covalent homo- or heterodimer formation (Ralat et al. 2006). Western blot analyses showed that 1-Cys-Prx is present in both Acer species (Fig. 6) but showed distinct behavior in redox gels (Supplementary Fig. 2). 1-Cys-Prx showed redox-sensitive conformation and interaction in Norway maple seeds (Supplementary Fig. 2a). In sycamore seeds, 1-Cys-Prx was detected directly at the diagonal line suggesting less redox-dependent dynamics (Supplementary Fig. 2b). 1-Cys-Prx is a protein regulating dormancy release in seeds (Kim et al. 2011) including sycamore (Pawłowski and Staszak 2016). Bykova et al. (2011) identified 1-Cys-Prx as a redox-sensitive protein containing reduced cysteine in dormant and non-dormant typical orthodox Triticum aestivum seeds. Kim et al. (2011) demonstrated that the function of 1-Cys-Prx can be switched from peroxidase to molecular chaperone by overoxidation. In this context, the same protein, reduced in Norway maple and oxidized in sycamore, can display different redox-dependent functions during seed development. Also, a relationship to the reduction state of the ascorbic acid (AsA) system has been established with seed 1-Cys-Prx (Monteiro et al. 2007; Dietz 2011). The pattern of proteins containing Cys residues susceptible to reversible oxidation after diagonal 2D redox SDS-PAGE separation was characteristic for each species and did not change during maturation (Fig. 7) or desiccation (Pukacka and Ratajczak 2007). Identification of selected protein spots revealed several proteins common to both species as well as proteins characteristic of each species (Tables 1, 2). Peroxidase 4, peroxidase 12, and 2-Cys-Prx were detected in embryonic axes of both species. These proteins likely are associated with H2O2 removal during the whole period of seed development. Peroxidase 4 formed intermolecular disulfide bridges (Fig. 7c, spot #8, c′, spot #9), whereas peroxidase 12 was identified as a precursor molecule (Tables 1, 2). Peroxidase 12 (AtPer12) was identified as a class III peroxidase that is a constituent of the plasmodesmatal proteome (Fernandez-Calvino et al. 2011). BLAST analyses revealed that peroxidase 4 is highly homologous to peroxidases 12 and peroxidases 12-like (data not shown). Therefore, this type of peroxidase is ubiquitously found in embryonic axes of both Acer seeds. The class III peroxidase was identified in sycamore as a protein regulating dormancy and germination (Pawłowski and Staszak 2016). Cytosolic-type PrxII (homologous to PrxIIC) was recently reported to be differentially expressed in rapeseed exposed to artificial aging treatment (Yin et al. 2015). Cytosolic Prxs can act as H2O2 sensors and may transmit redox information for regulation of transcription factors (Dietz 2014). The appearance of 1-Cys-Prx and 2-Cys-Prx coincided with the onset of drying in the desiccation period of barley (Finnie et al. 2002) as well as Brassica campestre seed development (Li et al. 2012). Occurrence of Prxs was recently described in Norway maple seeds and sycamore during dormancy breaking and germination (Pawłowski 2009; Pawłowski and Staszak 2016). Therefore, it is suggested that Prxs participate in redox sensing, target oxidation and regulation of metabolic switches (König et al. 2012), including the developmental transition to the quiescence state in Norway maple, acquisition of desiccation tolerance and dormancy, and this function differs between both Acer species. Thiol-disulfide exchange among proteins is critical to adjust the thiol redox network of the cell (Dietz and Hell 2015). FBA, 2-Cys-Prx, and annexin are H2O2-sensitive proteins in A. thaliana chloroplasts (Muthuramalingam et al. 2013) and were here identified in developing embryonic axes of sycamore (Table 2). FBA was identified in Norway maple seeds during dormancy breaking (Staszak and Pawłowski 2014). The presence of this protein was also hypothesized in embryonic axes of mature seeds of Acer species (Ratajczak et al. 2013). Glycolytic enzymes participate in redox-dependent retrograde signal transduction and are involved in acclimatization to oxidative stress. Under various oxidizing and reducing conditions, FBA can covalently bind GSH and thereby undergoes glutathionylation and is also reported to be subject to nitrosylation (van der Linde et al. 2011). Oxidized FBA is inactive and activated upon reduction (van der Linde et al. 2011). As a consequence, glycolysis and/or gluconeogenesis may occur in sycamore embryonic axes, and metabolism is not shut down. Another carbohydrate metabolism-related enzyme, GRDH, was specifically detected in sycamore (Table 2), further confirming active metabolism. Considering the fact that the level of sugar alcohols such as ribitol increases in drought stress (Nosarzewski et al. 2012), active GRDH may indicate that sycamore seeds are under water stress. In this context, GRDH might be another candidate that is differentially regulated by reduction and oxidation in recalcitrant and orthodox seeds. Glutathione reductase (GR) is another oxidation-sensitive protein in sycamore (Fig. 7c′, spot#1, Table 2). GR reduces oxidized glutathione and is central to the maintenance of cell redox homeostasis. GR activity is similar in Norway maple and sycamore during seed development (Pukacka and Ratajczak 2007). GR is potentially one of the enzymes that do not typically undergo maturation-related oxidation because GR is stress responsive and upregulated by dehydration (Bailly et al. 2008). Annexins are proteins that bind to membrane phospholipids and cytoskeleton components. They typically accumulate to high levels during seed development (Gallardo et al. 2003). Annexins play redox regulatory functions in diseases. In plants, these proteins exhibit in vitro peroxidase activity, and H2O2 induces their oligomerization (Mortimer et al. 2009). Annexins are associated with ameliorating H2O2-mediated oxidative stress. Therefore, it can be hypothesized that in seeds they are sensitive to redox changes and protect membranes during maturation drying. The annexins that are found in sycamore seeds (Table 2) are likely associated with the cytoplasm, so we suggest that they influence the change in membrane permeability observed during dehydration of sycamore seeds, whereas membrane integrity remained stable in Norway maple seeds (Pukacka and Ratajczak 2007). Interestingly, mitochondrial SSADH is required to restrict levels of reactive oxygen intermediates in plants (Bouché et al. 2003). Redox-switch modulation of SSADH was established and revealed that the disulfide-bonded SSADH conformation is not active (Kim et al. 2009). Identification of SSADH in Norway maple seeds (Table 1) indicates that the GABA shunt is an active metabolic pathway in these seeds or that SSADH might be involved in prevention of ROS accumulation. The same role for the SSADH during development in Norway maple seeds was described by Staszak and Pawłowski (2014). Heat shock proteins (HSP) often are synthesized during abiotic or biotic stress, but also are reported to accumulate during seed maturation, early seed germination and in storage organs (Wehmeyer and Vierling 2000; Avelange-Macherel et al. 2015; Kaur et al. 2015, 2016). Members of the HSP family occurred in Norway maple seeds during embryogenesis and dormancy (Staszak and Pawłowski 2014) and sycamore seeds only during dormancy (Pawłowski and Staszak 2016). It is possible that the HSP80 family protein, which was detected exclusively in Norway maple (Table 1), is another redox-based developmental regulator that is permanently oxidized in recalcitrant sycamore seeds and thus affects desiccation tolerance as well as dormancy depth in mature seeds. FBA, SSADH, HSP80, peroxidase, GRDH, 1-Cys-Prx, and 2-Cys-Prx family proteins were reported to be potential and/or established targets of Trxs in land plants (Montrichard et al. 2009), emphasizing the importance of their thiol-disulfide switches during seed development. Cysteine thiols potentially may also undergo S-nitrosylation, which can affect the catalytic cycle of Prxs. Lindermayr et al. (2005) identified 115 possible candidates for S-nitrosylation in Arabidopsis, including HSP80, annexin, FBA, peroxiredoxin-related, and type 2 peroxiredoxin-related proteins that were also identified in the present studies (Tables 1, 2). Therefore, the interaction between oxidation and nitrosylation of Prxs requires further studies. Peaks in ROS levels were accompanied by a maximum of accessible thiols in Norway maple seeds, tentatively indicating that desiccation tolerance is regulated by the redox state. Abundantly expressed PrxIIC and PrxIIE as well as SSADH might contribute to efficient H2O2 reducing activity in Norway maple embryonic axes. Sycamore seeds retained their recalcitrance given that no specific ROS signal was noted during their development. Thus, protein thiols were not converted to disulfides, and metabolism was not shut down. The results from the present study indicate important roles for peroxidases in regulating the redox state of seeds during maturation. The half-cell reduction potential difference of 30 mV in Norway maple seeds will affect redox signaling and likely participates in determining the orthodox character of desiccation tolerance. The distinct changes in redox potentials will affect processes of desiccation tolerance in seeds also during the final stages of development. Published data (Haslekås et al. 2003; Pena-Ahumada et al. 2006; Kim et al. 2011) and our results are in line with the current concept that 1-Cys-Prx and 2-Cys-Prx are important in seed development and act in redox-dependent cell signaling. 1-Cys-Prx and 2-Cys-Prx appear to play important roles in the redox-based regulation of seed development that differs between genetically related species producing orthodox and recalcitrant seeds. Here, we present the evidence that 1-Cys-Prx adopts a different state in sycamore recalcitrant seeds during all developmental stages. Therefore, 1-Cys-Prx is a promising candidate as a redox-based regulator of Acer seed development that may also differentially function in orthodox and recalcitrant seeds of other species. Thus, the redox-dependent function of 1-Cys-Prx, HSP80, and annexin should be studied in detail. This research was supported by the Polish Ministry of Science and Higher Education and the National Centre of Sciences (Grant Number N 309 070536). Additional funding was provided by the Institute of Dendrology of the Polish Academy of Sciences. The authors wish to thank Prof. Stanisława Pukacka for valuable discussion, Aleksandra Staszak, and Tomasz Pawłowski for their help in protein identification data and Prof. Francisco Javier Cejudo for the 1-Cys-Prx antiserum.